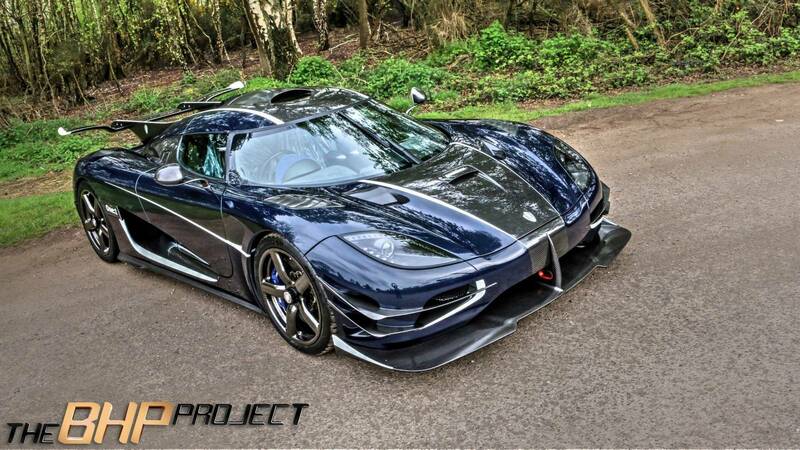 Koenigsegg makes some of the most brilliant cars on the road today. Pretty much anything wearing the Koenigsegg badge is capable of speeds well over 200mph. But as we have said before with the Regera, Christian Von Koenigsegg doesn’t particularly care about the top speed of his cars. What he cares about is flat out acceleration and handling. As amazing as the Regera is going to be, the current masterpiece coming from the Swedish factory is without a doubt the One:1. Only seven were built including one prototype so the chances of getting your hands one are pretty much nonexistent. It’s actually pronounced One to One and that isn’t just a clever name, it actually refers to the cars mind blowing power to weight ratio of one horsepower per kilogram of weight. Power comes from a twin turbo 5.0L V8 that puts out an astonishing 1341hp and 1011lb-ft of torque when running on E85 flex fuel and 1161hp on regular pump gas. 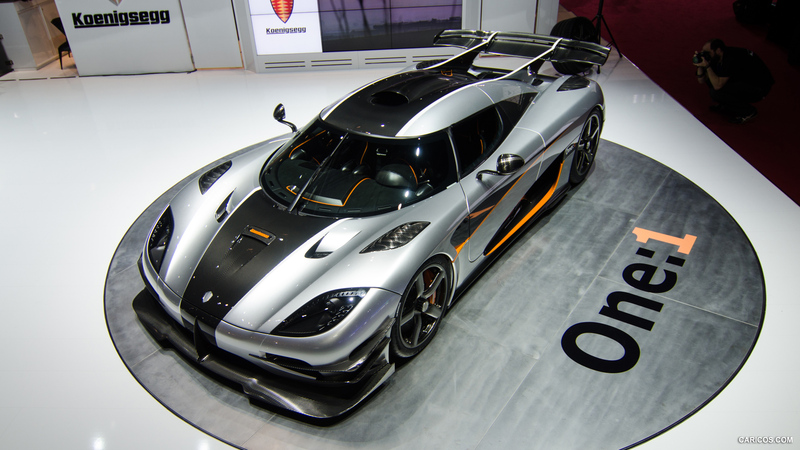 The One:1 only weighs 1,340 kilograms which is right around 2,900lbs. Now just to put that into perspective here, the Bugatti Veyron Super Sport weighs in at around 1,888kg (4,162lbs) and has a measly 1,184hp, so basically the One:1 weighs over 1,000lbs less but has 140 more horsepower. That is a substantial difference, especially in the weight category. The One:1 has some ridiculous performance numbers as you can probably imagine with that power to weight ratio. 0-60mph happens in just 2.8 seconds and 0-100mph in just 4.5 seconds. This car will run a 9.0 second quarter mile pass that is completely unheard of with a “stock” vehicle. Top speed is projected to be around 273mph but to my knowledge that has never actually happened. 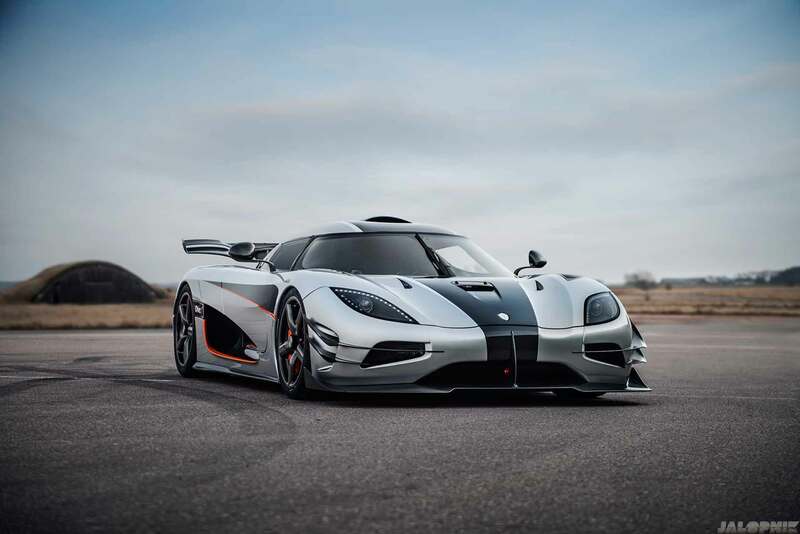 However at this year’s running of the VMAX200, the Koenigsegg One:1 set a new record of 240mph on the two mile private runway that is used every year for the best vehicles in the world to come stretch their legs in a way that most cars could only dream of. Previously the record was a tie held by the Bugatti Super Sport and I believe the Koenigsegg One:1, I know it was a Koenigsegg but it could have been the Agera R.
None of that matters now though because a new record has been set and we get to ride along for the entire run with the same view as WEC LMP1 racing driver Oliver Webb sitting behind the wheel. The ferocity of the acceleration is blatantly obvious as the cars 1,000lb-ft of torque slam Webb into the back of the seat all the way up over 200mph. If you notice in the video the ground appears to be slightly wet so its even more impressive that they were able to get the rear wheel drive car to hook up with that much power trying to twist the rubber off the rim. It just goes to show you the level of engineering that went into the One:1. It has active down force that is said to reach as much as 1340kg at speed, so I’m sure that plays a major part in it. Even still, it was reported that during earlier runs the car would spin the tires at aver 150 mph. How cool is that?